One of persistent things I see but have a tough time solving for is having sponsorship at the appropriate level. Sometimes we are dealt a sponsor team that is too high in the organization and sometimes they are too low. Both have their problems. Sponsors too high in the organization tend to also be too busy to adequately provide leadership for your change. With that comes abdicating change/project responsibilities to those lower in the chain. Even if the surrogates are trusted leaders, I have found that they still have to go through proper decision making channels to get anything done. When you have to be nimble - this doesn't serve the project well. Sponsors too low in the organization are generally very good at operational stuff and that becomes their focus. The problem here is that they may not have the same sense of strategic direction/visibility that someone higher in the organization has and may have trouble helping you navigate through the complex organizational matrix. ​If you happen to stumble on this post, I would love to hear your ideas! So which is it? 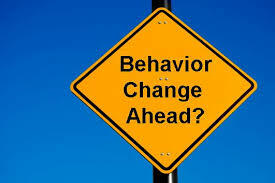 Change people's behavior or change the organization? B. Organizations don't/can't change so you have to focus on people's behavior to effectively make change happen. So which is it? Probably not as simple as picking one or the other. Can we agree that people, process. tools and culture all play into "the change?" If you remember the book "Switch" by the Heath brothers, they talk about the "rider, the elephant, and the path." It's a great metaphor. The rider and elephant are our thoughts, beliefs and feelings about the change which are played out in our behavior. And the path is the environment around the change - the processes, tools and the culture/rules of the organization. Trying to achieve individual behavior change in an enterprise-wide initiative is a huge challenge. But - shaping the path (the processes, the tools and the rules that people use) so that it is easier to "direct the elephant" is super effective. If you clear and shape the path to make it easier for people to do their jobs - you have a good chance of getting behavior change resulting in organizational resilience. So my answer... focus on shaping the environment. It is way more within our control to work with and will ultimately impact behavior and organizational culture. That's my opinion - what's yours? The Prosci 2016 BP report states that the number one mistake managers and supervisors make when managing change is abdicating the responsibility to deal with it! Either intentionally or as a result of their lack of understanding - they give it away. As a change consultant this makes me nervous, especially since managers/supervisors are the most effective when it comes to communicating with direct reports and advocating for the change. Get 'em involved early and often! ADOPTION - What level of buy-in are we seeing from stakeholders? PROFICIENCY - How well are stakeholders performing in the "new world?" UTILIZATION - Are stakeholders using the new tools, processes, methods vs. reverting to old ways? 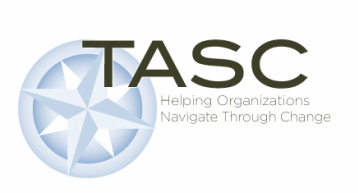 Prosci reports that 94% of projects with excellent change management met or exceeded project objectives compared to 15% with poor change management. I've always said that good change management is better than bad change management! What would you do differently on your next project? Prosci research says the #1 thing is planning and strategizing your approach to managing change and preparing your leaders for it! Guess what #2 is?Ensure leader involvement! Yep.